This boutique 5-star bed and breakfast features a heated swimming pool with sun loungers, a billiards room with a full-size billiards table and a large fireplace. There is free Wi-Fi access throughout the property. Offering an outdoor pool and a balcony with both garden and pool views, Bluff Hill Bed & Breakfast is just a 4-minute drive from Port of Napier. Free Wi-Fi and free parking is included. 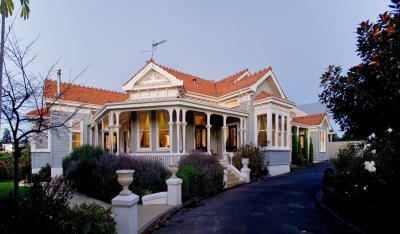 Boasting views of Sturms Gully, Bluff Hill and the Pacific Ocean, The Verandah is located in Napier. Free Wi-Fi access is provided in all areas of the bed and breakfast. Watea Boutique Bed and Breakfast features a heated outdoor swimming pool and a hot tub. Just 10 minutes’ drive from Napier Waterfront, this bed and breakfast offers free WiFi. Surrounded by tropical gardens, Ashcroft Gardens Bed & Breakfast offers free WiFi and an outdoor pool. The property provides free transport to local restaurants, as well as free use of 2 bicycles. The property is home to 2 cats. Located across the road from Napier Beach, The White House on Marine Parade Bed & Breakfast features a relaxing outdoor spa pool. Guests enjoy free WiFi in public areas. The White House is a 20-minute walk from Napier’s Art Deco inspired CBD. 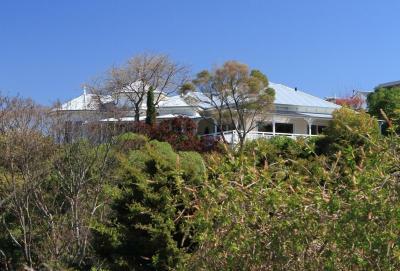 Set in Napier, 8 km from McLean Park, Absolute Beachfront B&B features a hot tub and a private beach area. Free WiFi is available and free private parking is available on site. B&B Chilton offers accommodation in Napier. Free WiFi is offered throughout the property and free private parking is available on site. Some rooms feature a seating area where you can relax. Enjoy a cup of tea while looking out at the sea or city.